Are you ready for another round of Reading 52 books in 52 Weeks? Whether you are just joining in or continuing on for another round, the rules are very simple. The goal is to read one book (at least) a week for 52 weeks. Make the year easy and casual or kick it up by exploring new to you authors and genres. 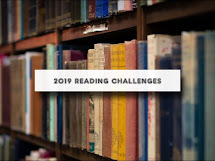 Challenge yourself to read at least some classics or delve into that chunkster (more than 500 pages) you always wanted to tackle. Do you have books gathering dust on the shelves just waiting to be read? Then now is the time. The goal is to read 52 books. How you get there is up to you. A to Z Challenge: Challenge yourself to read books alphabetically by Title and/or by Author. Have fun searching out those difficult letters. Dusty Mini challenge: Limit buying new books for 1 - 4 months and/or read 4 to 12 or more books gathering dust on your shelves prior to 2015. Chunky Mini Challenge -books more than 500 pages. Read Around the World: Read books set in and/or written by an author of a different country each week. Hang out in one country, exploring their history and culture or strike out across the world, mixing and mingling. It's entirely up to you how fast and how far and how many books you want to read. Have fun exploring! Well Educated Mind: Continuing exploring the classics in 5 categories: Fiction, Autobiography, History/Politics, Drama and Poetry. We have Monthly Themes to keep it exciting from January Junkets reading translated books to cunning and conniving Machiavellian May to Ominious October's spooktaculars. Plus we'll be doing a readalong of Susan Wise Bauer's History of the Medieval World. The mini, weekly and monthly challenges are optional, Mix it up anyway you like. I'm working through the WEM biography list, starting Grace Abounding to the Chief of Sinners by John Bunyan in January. The chunky and dustry mini challenges I could probably do. I'm still reading through The History of the Ancient World but I may be able to catch up ...... I hope! to say that I've truly enjoyed browsing your blog posts. In any case I will be subscribing to your feed and I hope you write again soon! Hey there. I’ve been blogging since 2007. Started personal blog, then segued into 52 Books in 2009. You may want to start commenting on current 2018 posts since anything prior to this year is easy to miss. Thanks for your kind words.